ISSP 16 is jointly organized by the IUPAC and the Institute for Nuclear Waste Disposal (INE) at Karlsruhe Institute of Technology (KIT) . The scientific sessions will be held at KIT Campus South in the NTI lecture hall from 21 to 25 of July 2014. The symposium follows a series of previous meetings: ISSP-15 (2012, Xining, China), ISSP-14 (2010, Leoben, Austria), ISSP-13 (2008, Dublin, Ireland), ISSP-12 (2006, Freiberg, Germany) and ISSP-11 (2004, Aveiro, Portugal). ISSP 16 will be held at the Karlsruhe Institute of Technology in Karlsruhe , Germany. Karlsruhe is situated in the sunny southern German section of the Rhine river and lies approximately between Strasbourg, France and Heidelberg, Germany. It is surrounded by interesting tourist areas such as the Black Forest to the south, the wine regions of the Alsace and the Palatinate to the west, the Neckar Valley to the north. Stuttgart, the capital of the state of Baden-Wuerttemberg and home of Mercedes-Benz and Porsche automobiles, is around 80 km to the East. Karlsruhe can easily be reached via train or car from Frankfurt am Main, Strasbourg, or Stuttgart international airports (see Travel). 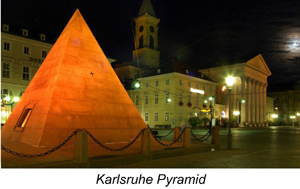 With a population of around 300.000, Karlsruhe is a medium-sized city with more than adequate hotel accommodation capacity and an excellent public transportation system.